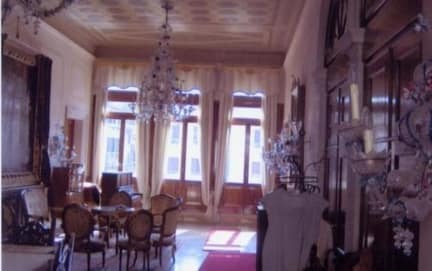 The Tiepolo Palace B&B is the ideal location for dream holidays to discover a magic atmosphere in central Venice staying in a typical Renaissance palace, completely restored with every modern comfort. 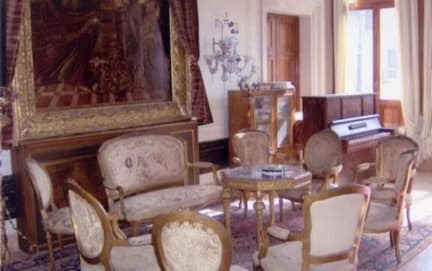 On the second floor, in the noble flat, there are exclusive rooms, double rooms with private bathroom (a 3rd bed is available), furnished with antiques and paintings, in a prestigious Renaissance palace, completely restored and embellished with period frescoes, stuccoes and marbles. The homeowner is an arts teacher, and thanks to her knowledge of art, she could suggest to her guests several tourist routes. In fact Cannaregio is full of ways leading in short to San Marco, Rialto, to the islands of Murano, Burano and Torcello and to the Lido. The couple don’t know English so we tried to communicate with gestures and body language. The house was very classical with a beautiful view of the canal. The transportation was convenient next to water bus station and train station. The journey was wonderful.